Whether you prefer to wear this Maya bracelet as a single accessory or with a combination of others it will always be a total eye-catcher. 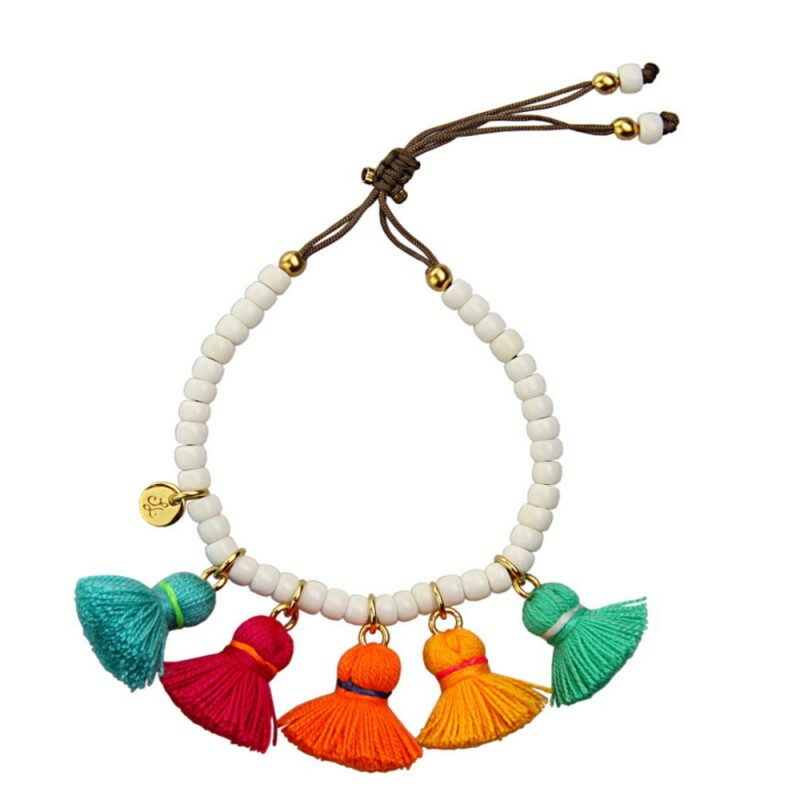 This style of bracelet straddles both the bohemian and the chic. Material: Colourful cotton tassels (approx. 2cm) and white vintage African glass beads.